A tight seal blocks ambient noise, so you can concentrate on the accurate audio reproduction, and aptX HD decoding is available with an optional component upgrade. Shure’s SE535 in-ear headphones sound great and are quite accurate, facilitating EQ to suit just about anyone’s taste. But these puppies will set you back a minimum of $449—or between $499 and $599 if you choose one of the Bluetooth options (street prices are somewhat lower). Shure sent its Bluetooth 4.1-equipped model SE535LTD+BT1 ($499 at Amazon), along with its RMCE-BT2 Bluetooth 5.0 upgrade module ($149 at Amazon). The optional module adds support for Qualcomm’s aptX and aptX HD codecs, which are generally thought to be sonically superior and more efficient than the SBC (subband codec) native Bluetooth uses. Note: This review is part of our roundup of wired and wireless headphones. Go there for details on competing products and our testing methods. These are great headphones with just about every extra you can think of, but those price tags are approaching custom-fit territory. Are they justified? 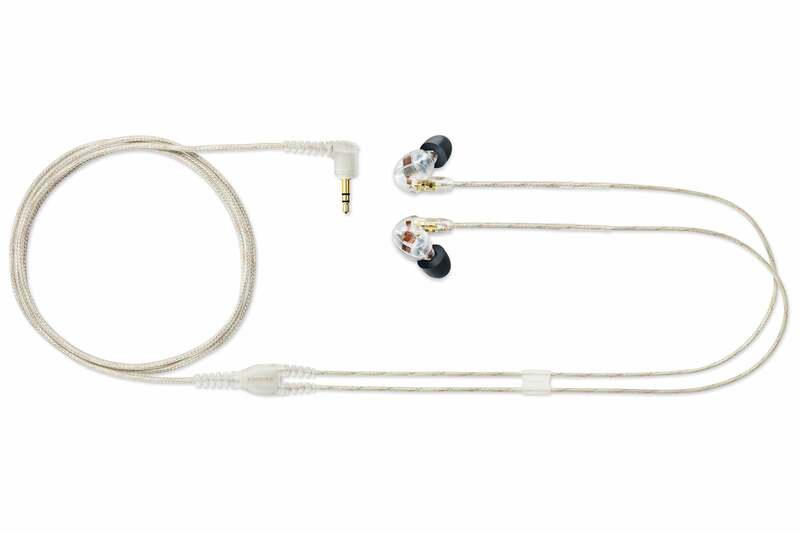 Shure’s SE535 in-ear headphones feature detachable cables with universal MMCX connectors, so you can update any of them with the RMCE-BT2 Bluetooth 5.0 module shown here. Shure calls these earbuds its SE535 Sound Isolating Earphones, with a trademark symbol placed next to “Sound Isolating.” How Shure managed to trademark that phrase is a bit of a mystery, as it’s really just a fancy and relatively common way of saying these earphones block ambient sound from reaching your ear drums. In this case, the feat is accomplished with different sizes of silicone and foam ear tips (Shure calls them “sleeves”) that are designed to conform to the inside of your ear canal. But that’s what all in-ear headphones do to one degree or another. The SE535 (a less-expensive wired SKU sans Bluetooth adapter—the SE535-CL—is also available) are highly modular in that they feature MMCX (Micro-Miniature Coaxial Connectors). You can detach the earphones from their cables to swap the included Bluetooth 4.1 module for a 3.5mm cable with an inline remote, in case you don’t want to hear your music compressed. You can also spring for the aforementioned RMCE-BT2 Bluetooth 5.0 module. 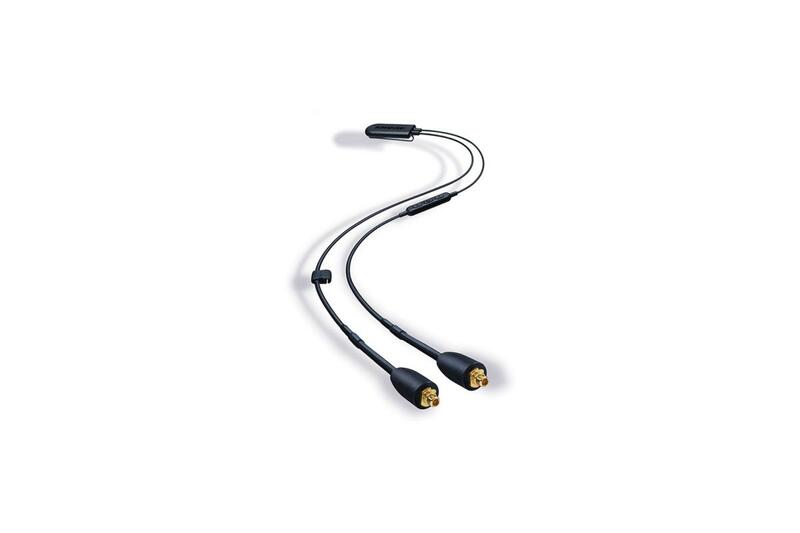 MMCX is a universal standard, so you can purchase replacement cables from any manufacturer that complies with it. The Shure SE-535 CL is a somewhat less-expensive wired SKU, which can be upgraded with either of Shure's Bluetooth modules. As mentioned, Shure provides a wide array of ear tips that should enable you to find a comfortable fit no matter what size ear canals you have. The kit also includes a clam-shell carrying case, a 3.5mm-to-1/4-inch audio adapter, and a dual-mono 3.5mm (male) to 3.5 mm stereo adapter (female) for those oddball airplane outputs.You’ll need the provided USB Type A cable to charge either of the Bluetooth modules, but the Micro-USB port on the tiny inline remote control (Play/Next/Previous, Volume up/down, etc.) is quite well hidden. And that brings me to something I don’t often complain about: Poor documentation. I found no mention of the location of that USB charging port anywhere. I expect to receive a well-done user’s guide with a product that costs this much. The SE535 employ three balanced armature drivers in each earbud. Two are coupled for lower frequencies, and one is dedicated to high frequencies. The result is very good sound that’s for the most part nicely balanced up to their 19.5kHz max frequency response. I reviewed the Red Special Edition SE535 with a Bluetooth 4.1 module. That said, how great they sound relies heavily on how snugly they fit in your ear. The closed space of your canals are part of the acoustic equation, hence the plethora of different-sized tips. If they slip out of position in your ear canal—even just a little—the bass will disappear. If you buy these, take the time to determine which tips work best for your unique anatomy. Once you find the correct pair, ambient sound levels will drop dramatically. And if you’re a runner, they’re less likely to fall out. Describing sonic qualities is always a bit of a challenge, but it’s even trickier with in-ear headphones. Usually, in-ears have a quality of presence and immediacy that over-the-ear buds and large headphones generally lack. It’s very subtle, but noticeable. There’s a nice punch to the low-end of the SE535, though I found the top-end just a bit mellow for my personal taste—and older ears. As I said, frequency response seems accurate, or flat if you will. Flat as in if you looked at a spectrum analyzer, the peaks and valleys would be relatively even across the entire frequency range. That’s good in that you can EQ to suit your personal taste and retain the option to listen to the music as the producers intended it to sound. That’s what studio monitors are designed to do, although Shure doesn’t refer to the SE535 as in-ear monitors. There are ear tips, cables, and adapters galore inside the box, but the included carrying case doesn’t seem worthy of a $500 pair of headphones. 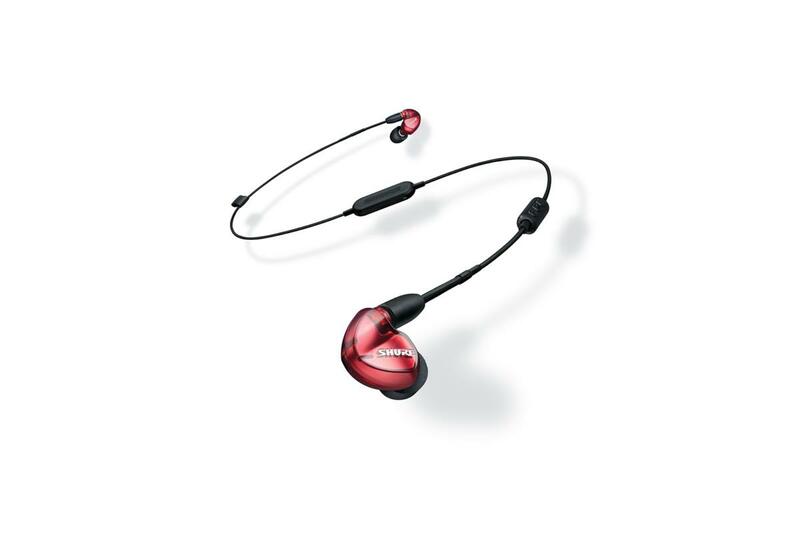 Just about any in-ear product will screen out a lot of outside sound. If you’ve ever had an earful of water, you already know that. It’s the nature of the beast, and depending on the fit you can obtain, the 37dB reduction in ambient sound that Shure claims is within the realm. Speaking of water in your ear, in-ear headphones are not for everyone, as the feeling you get with them inserted is a bit like that earful of water. Make sure in-ear is something you want before you buy these. The SE535’s passive noise reduction is not the same thing as noise cancellation. The latter is an active process that uses a microphone to record a a signal, profile the noise, and then apply a phase-negative copy of said noise to cancel it out. Many headphones with active noise cancellation can also pipe some ambient sound into the earpieces to provide situational awareness. The SE535 do not, so it would not be a good idea to have them in your ears while you’re walking down the street and need to hear cars, people, and other objects around you for safety’s sake. The SE535 are very fine-sounding earphones. At $100 or $150, I’d be all over them. But in my book, $500 is far too expensive. I’d recommend exploring cheaper options first, and there are lots of high-quality choices out there, including from high-end brands such as AKG, Sony, Sennheiser, and—yes—Shure. Of course, each of the companies in that list also make in-ear headphones that cost more than $500. But this is the point at which the law of diminishing returns starts to set in hard. You might need to give up such features as MMCX connectivity, or the option to spend even more to upgrade to a Bluetooth 5 module, but you might also discover that spending less doesn’t entail a significant compromise in audio quality. 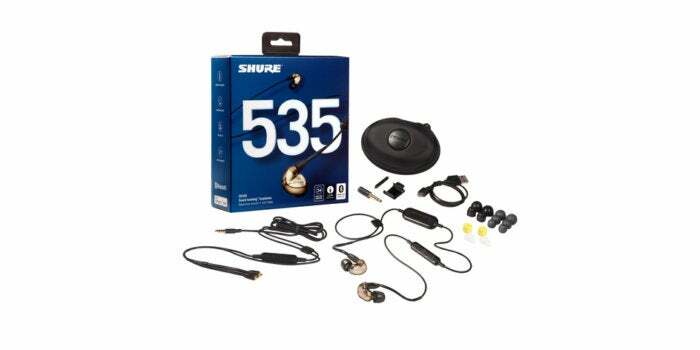 If the price tag doesn’t faze you, you needn’t worry that you’re overpaying for Shure’s SE535. But if you have more time than money, let your ears guide you to the best value. This story, "Shure SE535 in-ear headphones review: Great sound and upgradeability, but a steep price tag undermines the fun" was originally published by TechHive.